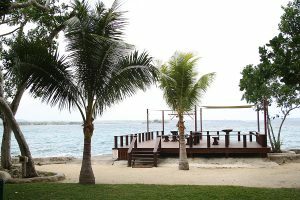 TOP 5 reasons your next holiday should be ‘Island Magic Resort VANUATU! 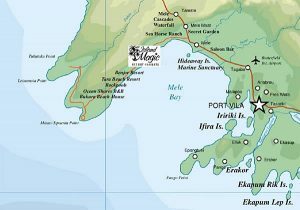 So close but so far from your world, discover this island paradise – the land that time forgot. Port Vila is only a short 2 1/2 hour flight from Brisbane. Air Vanuatu (Qantas co share) and Virgin flies from Brisbane, Melbourne and Sydney to Port Vila. 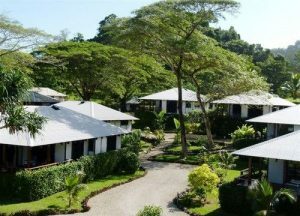 Island Magic Resort is located only 10 minutes from Port Vila International Airport and is situated oceanfront at Mele Bay on Vanuatu’s main island of Efate. 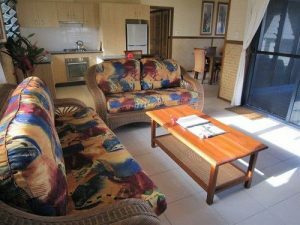 It’s only 15 minutes drive from the hustle and bustle of Port Vila, it is easy access from the resort by regular local buses or hire cars are available. Mele is one of the most beautiful parts of Efate, this location is perfect for couples, families and adventure seekers with Wet n Wild Adventure park and Vanuatu Jungle Zipline walking distance from the resort. The Summit, local restaurants and more are also all within walking distance. 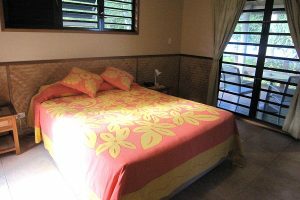 Vanuatu Tourism awarded Island Magic the best self-contained accommodation in Vanuatu, it’s easy to see why! 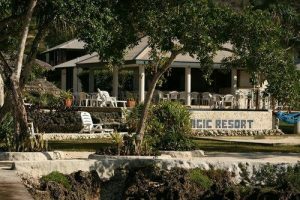 Island Magic resort is like a ‘Home away from Home; with quality 4 Star fully self-contained bungalows. 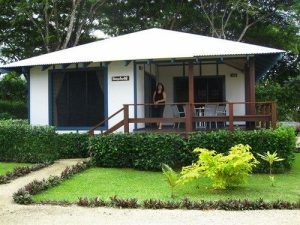 The bungalows are bright, spacious, comfortable, clean and quiet. Ocean Front Studio our “Honeymoon Suite”. 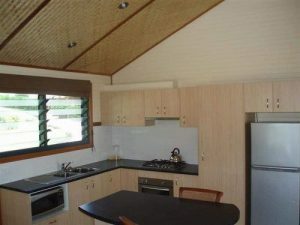 The bungalows are perfectly appointed for holiday guests with huge kitchens so you can save money by purchasing local fresh food in town and cooking beautiful meals instead of always dining out in restaurants. 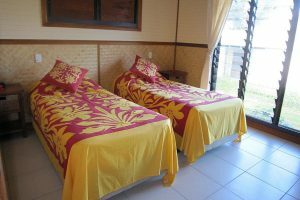 Each bungalow has its own laundry facilities with washing machine and ironing so you can have fresh clean clothes daily. 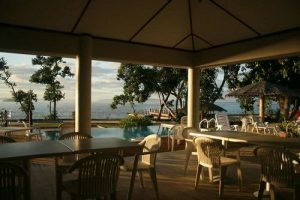 All bungalows have private balconies with ocean and garden views – a perfect place to unwind, read, wine n dine, and relax. Great food, coffee and wine right at your fingertips. The restaurant Coco De Mer is open for breakfast, lunch and dinner, it’s only closed on Sunday nights and Monday Lunch and Dinner, otherwise open all other times. It boasts an International Kitchen including: French, Mediterranean and Asian Fusion with amazing experienced Chef and staff. 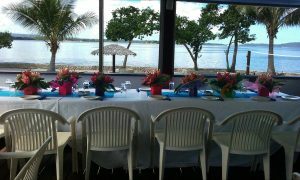 Catering can be arranged for special functions, degustation dinners and buffets. 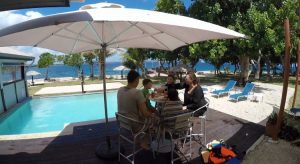 The restaurant has a great atmosphere with ocean breezes, music, swimming pool and the best food and drinks. The continental breakfast included with your accommodation consists of: Cereals, fruit, coffee, tea, orange juice, toast and spreads. One of my favourite reasons to stay at Island Magic Resort is the easy access to some of the best snorkelling right from the front of the resort off the jetty. 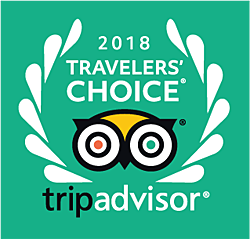 Wake up, walk out of your bungalow, straight into the warm waters and experience another world with so many different species of fish, marine life and coral. I love seeing the family of ‘little nemos’, clown fish. You can dive or jump off the jetty (for the thrill seekers) or there is a safe ramp for easy walking access into the water or a ladder down off the top. Snorkelling equipment – fins, masks and snorkels are available to use from the office. You can feed the fish off the edge of the jetty and will be amazed at how many fish both big and small are around. It’s definitely one of the main highlights at Island Magic Resort. 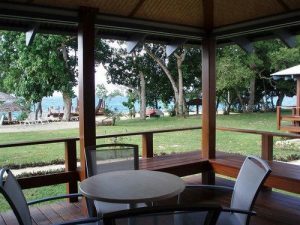 Staying at Island Magic Resort in Vanuatu is so affordable. Let’s be honest. Everyone wants to have a holiday that doesn’t break the bank. Check out some of the great packages on offer , these certainly are great value. When you think of all the great facilities at Island Magic, including self contained bungalows with kitchens, laundries, restaurant, swimming pool, jetty with snorkelling, walking distance to activities and much more. 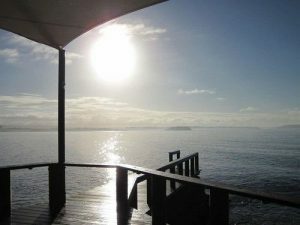 It’s easy to see that you can save money staying here and why Island Magic Resort Vanuatu should be your next holiday! Or check out availability and rates here!